Hey good lookin'! What ya got cookin'? Mother Nature looks good in a chef’s hat! 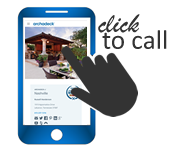 If you’ve ever wished you could cook in your backyard, an outdoor kitchen from Archadeck of Nashville could be the perfect accompaniment for your Nashville deck, porch or Nashville patio project. The addition of an outdoor kitchen will allow you to enjoy the beauty of nature while you create delicious meals for family and friends. 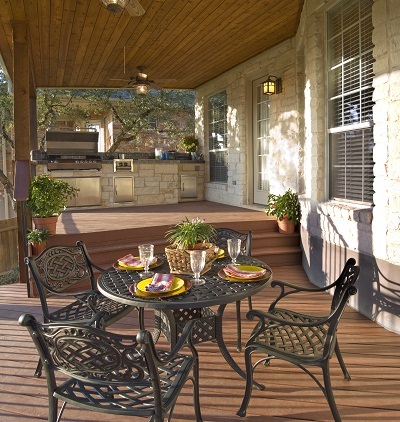 Today’s homeowner is looking for more versatility from their outdoor living space. 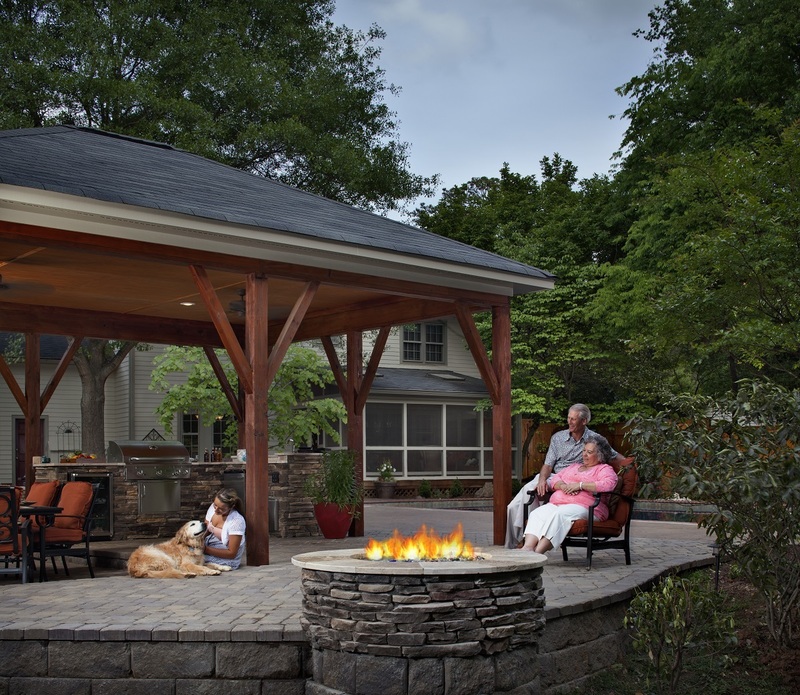 Amenities such as fire features, entertainment areas and outdoor kitchens are taking center stage as part of an outdoor living structure design. Outdoor kitchens, in particular, increase the versatility of a custom patio, porch or deck and the value of your home by increasing the livable space and dynamic outdoor living features so many home buyers are seeking. Research indicates that when selling your home, an outdoor kitchen is comparable to an indoor kitchen redo, and you are likely to recoup a substantial amount on your investment. 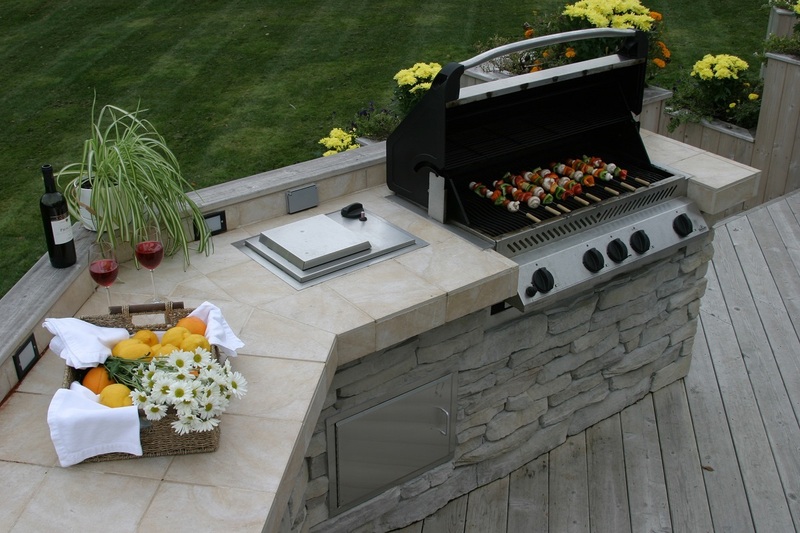 Your outdoor kitchen should fit your personal needs. Our outdoor living space designers will work with you to determine what type of layout best suits your cooking style, entertainment desires, and the spatial needs required to accommodate its addition. 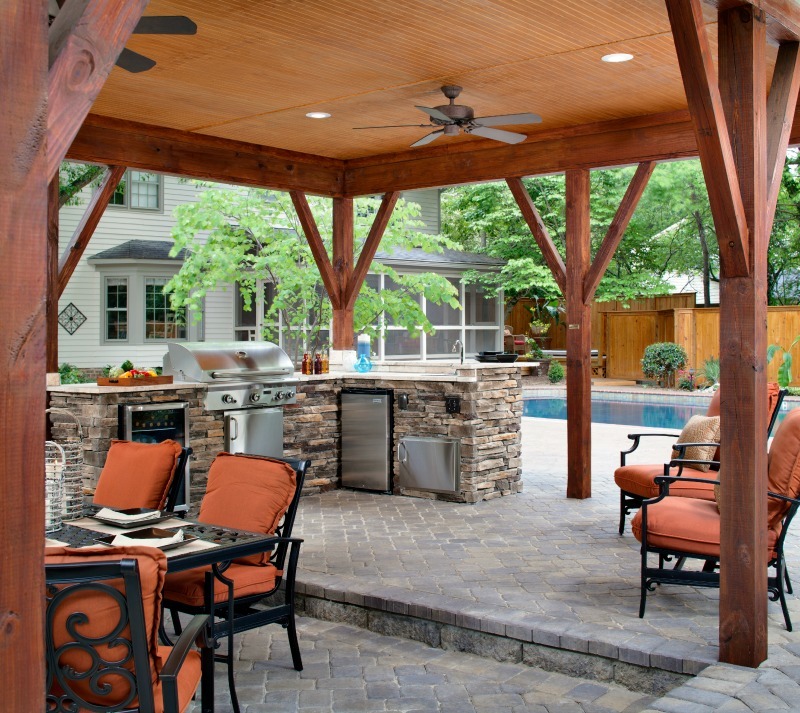 A Nashville outdoor kitchen will allow you the freedom of diversity when entertaining and enjoying the everyday moments that are so important. Imagine being able to dine al’ fresco on a whim or indulge the home team to backyard tailgating in your own backyard! 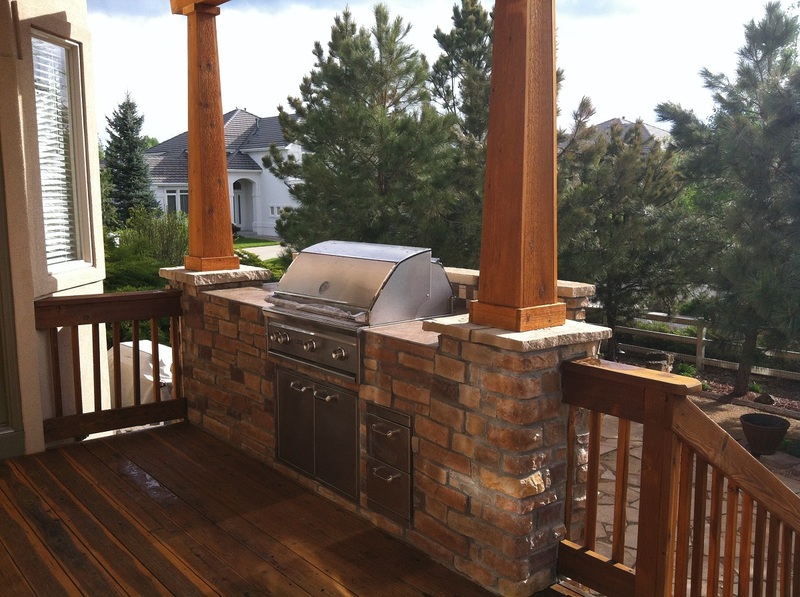 Our custom outdoor kitchens expand the footprint and capabilities of your deck, patio or porch making your outdoor living space a favorite spot to gather. 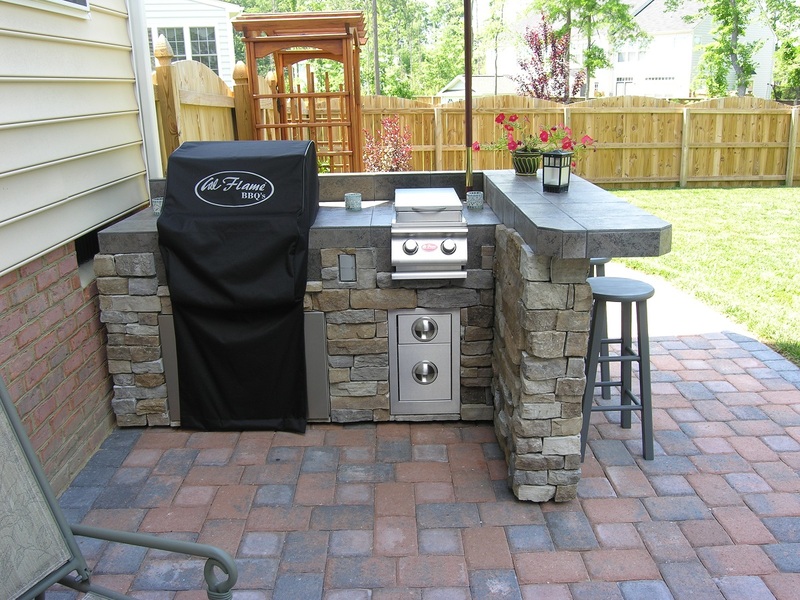 If you are planning an upcoming deck, porch or patio addition, an outdoor kitchen is the perfect ingredient to complete your outdoor living recipe! 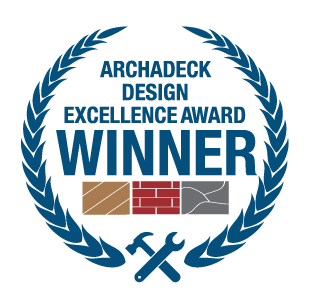 Archadeck of Nashville can design a space that is as simple or luxurious as your taste and budget dictate — from compact to expansive — the world is your oyster when it comes to the combinations and amenities available! Outdoor kitchens provide more than just a place to cook outside. They give you a chance to spend time with friends and family in a whole new way. You don’t have to be stuck inside cooking while everyone else is enjoying the backyard. You can interact with your guests, watch your kids, and create amazing food that you can all eat together in happiness. Beyond the bonding opportunities that outdoor kitchens provide, these spaces allow you to keep cleanup time to a minimum. At the end of a long day at work, cooking outdoors may be just the stress relief you need. Better still, outdoor kitchens reduce your energy bills, and the food you make in them are often healthier than what you’d make on the stove. No matter how you look at it, you’re going to get something out of your outdoor kitchen. 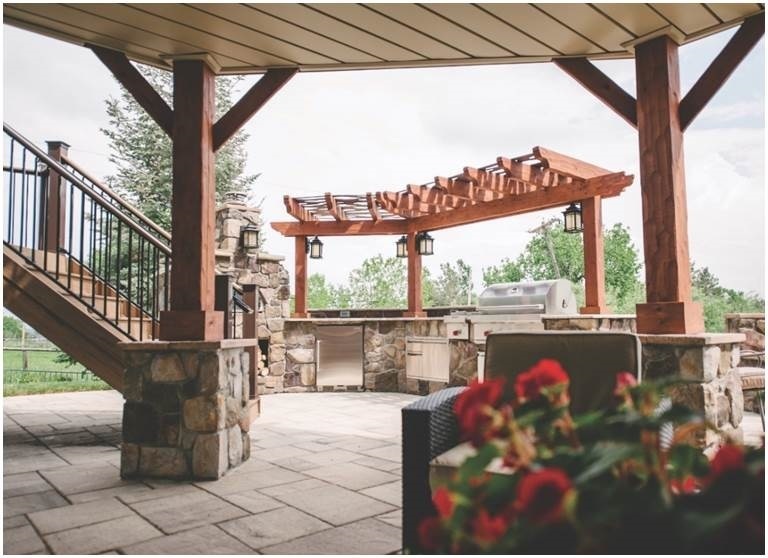 Many of the materials we use within our custom outdoor kitchens are considered low-maintenance; these include stone, pavers, granite, hardwoods and synthetics, all of which are a breeze to maintain. Most of today’s BBQ grills and other outdoor kitchen appliances are made from stainless steel, which makes them not only able to handle the changing seasonal temperatures but also desirable because they are easy to clean. When you have a Nashville outdoor kitchen as part of your outdoor living space, you have a low-maintenance, high-impact investment you can use and enjoy for many years to come. 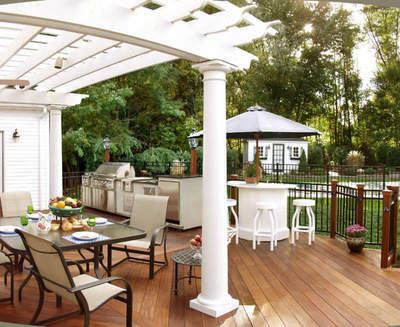 If you’re worried about your grill, fridge, and other kitchen appliances getting damaged in the rain or snow, we can create a custom porch or patio cover that protects your outdoor kitchen from the elements. This also provides places for you to hang fans, TVs, speakers, and more to make the space even better than before. Discuss your options with a designer from Archadeck of Nashville, and we’ll make sure to incorporate a cover into your design. Give us a call, and we’ll show you what your backyard is missing. You can reach us by phone at 615-547-2333 or send us an email at [email protected] or fill out the form above and we will get in touch with you very shortly.